At JH Restorations in Windsor Ontario, we pride ourselves on what we do. Full Classic Car Restorations, Resto mods, Street Rods and full Custom work is all we do, and we love it! With years of experience and technical resources to back it up, we have developed an exceptional team that can help you with all of your restoration needs. JH Restorations can deliver all of your restoration and aftermarket parts needs. Contact Us Today for a Free consultation. We look forward to restoring your dream. Restos, Rods, Parts and Customs! If you’ve got a ride that needs work, you can trust the professionals at JH Restorations to get you on the road. Check out the latest and greatest from JH Restorations. Custom jobs to complete builds, you can see photos, video, and descriptions of our work! JH Restoratios Does It ALL! At JH Restorations we offer full and partial classic car restorations, as well as restorations to collector cars, muscle cars, hot rods, antiques and special interest automobiles. Whether it’s custom building a street rod or restoring your grandfathers old pickup truck, we have the experience and technology to suit all your needs. 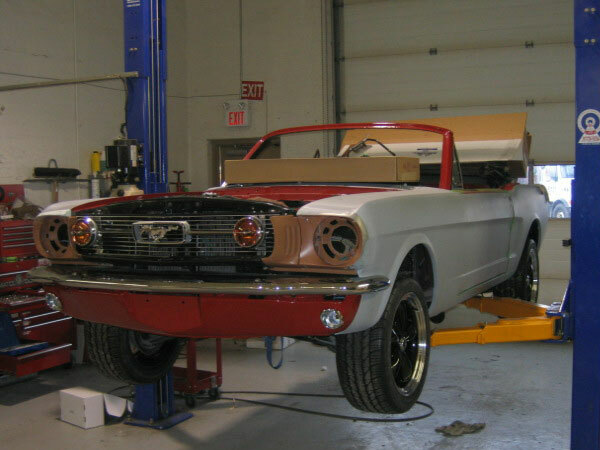 We provide a wide range of restoration services that include; complete frame-off ground up restorations, fabrication, body & paint, upholstery and I\interiors, suspension and brakes, and engine rebuilds. Our Restoration Team will treat your vehicle with respect and care. Don’t miss out on Sales and Events!